The routing loop is said the state that IP packets pass through the router two or more times until the TTL is exhausted. 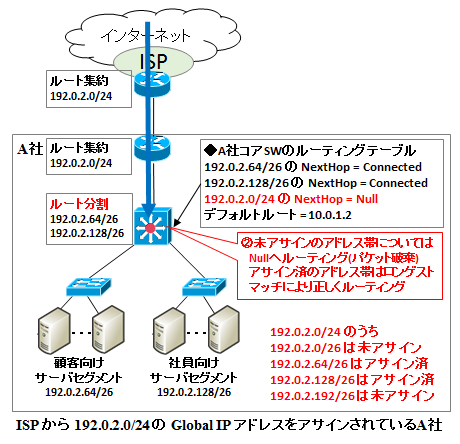 How to check the routing loop are two.The first is using tracert or traceroute, and making sure whether there is a response from the same IP address or not., And the second is using the Ping, the following as the "TTL Expired" of is the display. In the above case, type "ping 200.200.200.200", if loop occurs somewhere, eventually TTL becomes 0 in NW device with address 192.168.11.1, ICMP Time Exceeded are back to the PC, that is a state. If the moderate NW engineers, it is easy to set the routing to allow communication of purpose, but what still well forgotten from consideration, is the routing loop by the packet destined to the IP address actually not allocated to the NW device. For example, consider the following case. 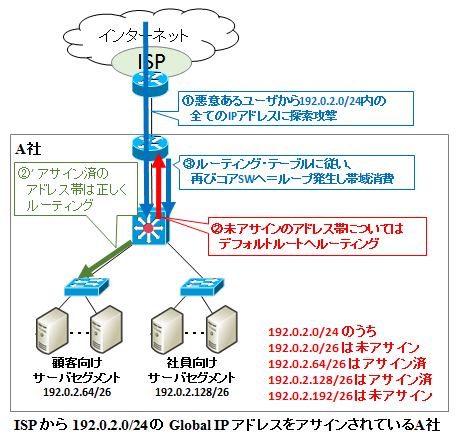 assuming Globl IP address 192.0.2.0/24 is assigned to Company A, but is split to multiple subnet. And, if there is an address range of the unassigned, routing loop will be generated when there is a communication to the address band. The basic idea on this issue, when performing the route aggregation, consideration must be given to the unassigned address band in aggregated, is that.  As a specific solution, the boundary of a route summarization, in NW devices that route division, is to create a Null route of the aggregate route. 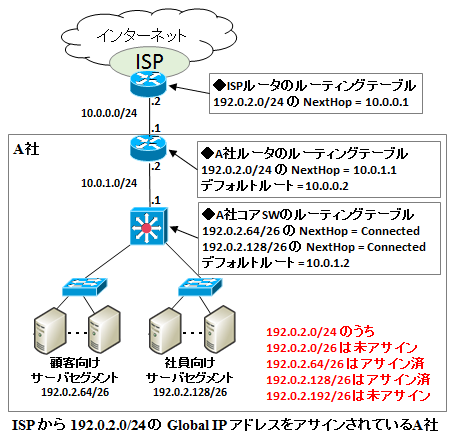 In the above case, the boundary of the route summary is between Company A router (route aggregation) and company A core SW (root division), and should be Null route summary on company A core SW [ Route to 192.0.2.0/24 NextHop = Null]. As a result, with respect to split the route of the already assigned are correctly routed by the longest match, for the address range of the unassigned is discarded by the Null route, routing loops can be avoided. Route aggregation in the dynamic routing, generates the aggregate Null routes on NW device automatically and they distribute it, so we avoid routing loops automatically. But when configuring the NW in Static route, Caution is required. For reference, it shows an image of the route aggregation in OSPF below.